Biblical prophecy can be a confusing, complex and controversial subject for many people. This book is designed to assist the student of biblical prophecy navigate through the many topics related to the prophetic portions of scripture. The book is written from a dispensational premillennial perspective and it is written with the average believer in mind. The book deals with the major areas of interpreting prophecy, the biblical covenants as the basis for all prophecy and the two major approaches to the Bible, namely dispensationalism and covenant theology. The book attempts to fairly represent views that differ from that held by the author. There are a variety of subjects dealt with such as the view of Preterism and the place of Israel and the Church in God’s purposes. The major millennial positions are set forth and evaluated as are the various views concerning the rapture of the church. The period of the Tribulation, the Second Coming of Christ as well as the future of individuals who are believers and the future of individual who are unbelievers are discussed. The book contrains graphs and charts which are intended to help clarify various prophetic viewpoints. In the final analysis, biblical prophecy is designed by God to change the way we think and live in the present and so it has immense practical value as far as living the Christian life is concerned. Unfortunately, many pastors stay away from the subject of prophecy, and so deprive their flocks of one important element in living godly lives for Jesus Christ today. As the world seems to be growing more and more chaotic, we wonder if the end is near. The end is coming, though no one can predict when Jesus Christ will return to earth as Jesus Himself said. But we don’t need to be ignorant of end-times events; the Bible describes final end-times events in detail, including Christ’s return, judgments against a wayward world, the resurrection of all people, and the rule of a messianic king. 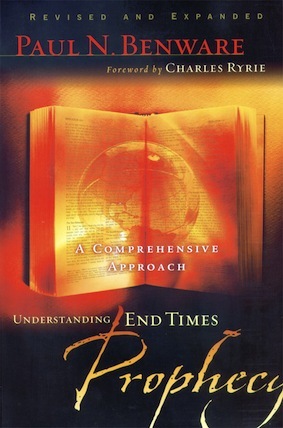 For Christians, understanding Bible prophecy gives hope and purpose. And for unbelievers, it shows than an omnipotent God has a wise plan for planet earth – a plan that involves justice and judgment.This handy pamphlet, perfectly sized to slide into your Bible or notebook, examines the Scriptures to show God’s plan for a new heaven and earth. Learn how everyone has the opportunity to be part of the future kingdom of God. Understand Bible prophecy and see how tomorrow can have a profound influence on the quality of your life today. It answers about a dozen frequently asked questions about the future, and also includes charts of basic views that are held by different theological groups.